French ISIS fighter Abou Abda Llah Guitone proudly published a video today, in which he is seen while stealing from the dead. “I was filming the damage and the corpses of the apostates, when I noticed this man holding his hand on his pocket”, he comments. 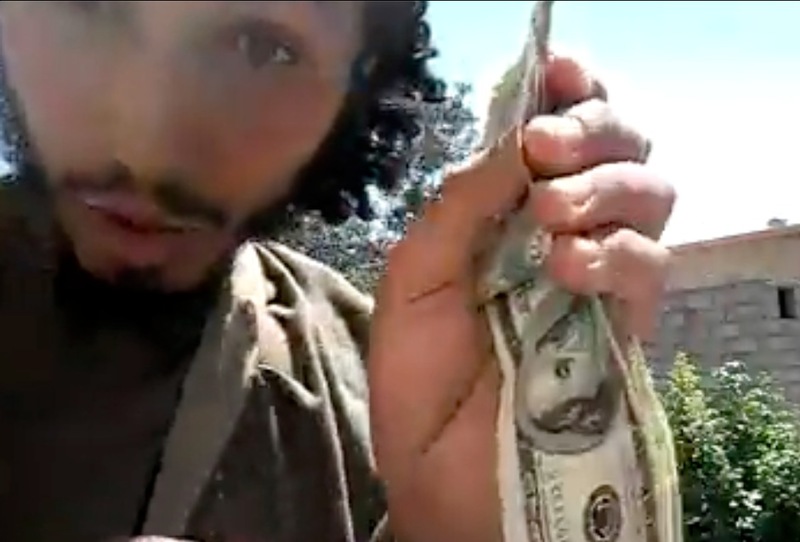 Guitone finds a bundle of American dollars in the pocket of the unknown victim and starts counting. “Three thousand dollar”, he concludes full of joy. WARNING: the video contains some graphic images, but can be seen here. One of the most notorious terrorists ever known in Belgium, has surfaced on the Syrian front. Abdelkader Hakimi (48) — once supposed to be the European leader of the ‘Groupe Islamique Combattant Marocain’ and named as one of the brains behind the deadly bombing in Madrid of March 11, 2004 — is befriending young recruits of Shariah4Belgium now. 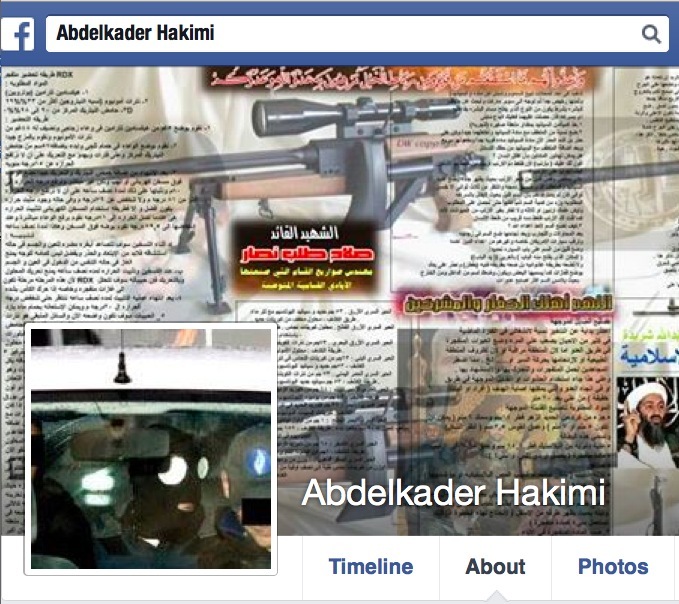 Screenshot of Hakimi’s actual Facebook page. The flood of Belgian fighters going to Syria until now consisted mainly of young and unexperienced recruits. People who came never into contact with real terrorism yet and were still children when the west was hit by bloody attacks like those of 9/11 in the United States. The remnants of the underground cells that formed the operational core of Al Qaeda those days — and often had ramifications into Belgium — didn’t seem to join the Syrian jihad. But that is changing now. In April of last year already, Belgian media reported that Rachid Iba (34) had left his town Maaseik to fight in Syria. In 2006, Iba was convicted as a member of the ‘Groupe Islamique Combattant Marocain’ (GICM), a terrorist organization that later would become part of ‘Al Qaeda in the Islamic Maghreb’ (AQIM). At that time, it was already named as perpetrator of the bombings at Atocha railway station in the Spanish capital Madrid, were 191 people were killed in 2004. At the proces against the Belgian cell of GICM, Iba wasn’t considered a heavyweight. He got three years of which two suspended and was free again soon afterwards. That wasn’t the case for Abdelkader Hakimi, who was seen as the European leader within GICM and whose contacts reached as far as the inmate population of Guantánamo Bay. In the eighties already, he was sentenced to death in his native Morocco, and being on the run for many years, he lived in Algeria, Libya, Turkey, Saudi Arabia, Malaysia and Botswana using several false identities. According to intelligence services, he has fought on the side of muslim extremists in the Bosnian war, and reportedly he also got a terrorist training in Afghanistan. In Morocco, he’s suspected of complicity in the Casablanca bombings that killed 45 people on May 16, 2003. He is also considered as one of the architects of the bloody attack by GICM in Madrid, that reportedly was partly planned during a meeting with French and Spanish GICM members in the quiet Belgian town of Maaseik. With that resume, Hakimi certainly ranks as one of the most dangerous islamic terrorists that ever appeared in a Belgian court. He got eight years and had to stay behind the bars until the end of 2011. After he got out of jail, he settled in Brussels with his wife, according to media reports. At that time his lawyer said Hakimi had become “a completely different person”. But his Facebook account that the Belgian newspaper ‘Het Laatste Nieuws’ discovered recently — and that is linked to genuine former comrades — shows little proof of that. It contains a picture of the late Osama bin Laden, surrounded by heavy weapons of war. His profile picture is showing him at the time of his trial, blindfolded and surrounded by cops during the transport from his cell to the court — as if he’s proud of being convicted. 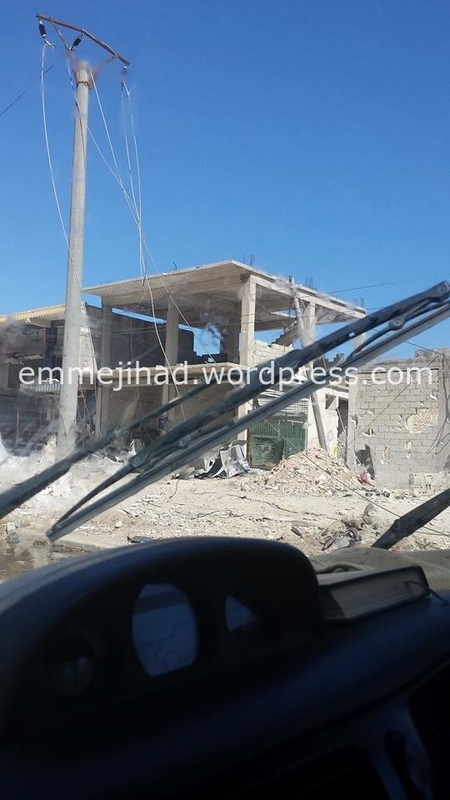 The most intriguing detail however, are the snapshots that he posted in April this year — made out of a car in the war torn suburbs of Aleppo, the northern Syrian city that has long been under control of extremist groups. 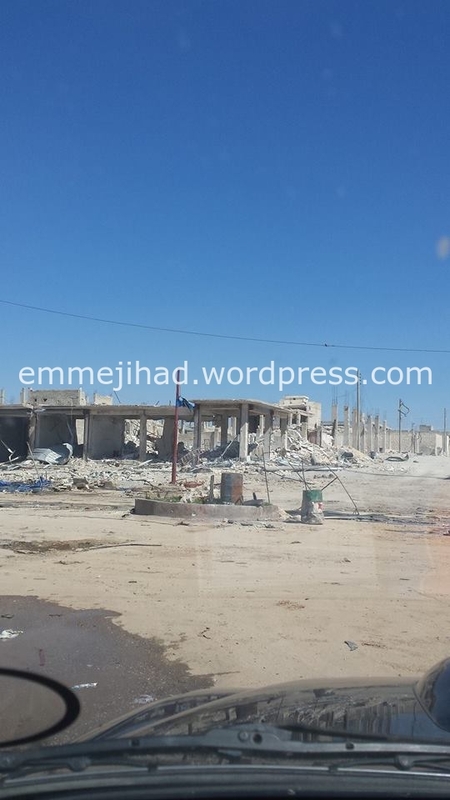 It is not clear how long Hakimi has been in Aleppo, nor whether he still is in Syria. The Facebook page doesn’t give any detail about his activities there, but his friends list may be a reason to worry. It clearly shows that he is forging ties with young western fighters on the Syrian front. 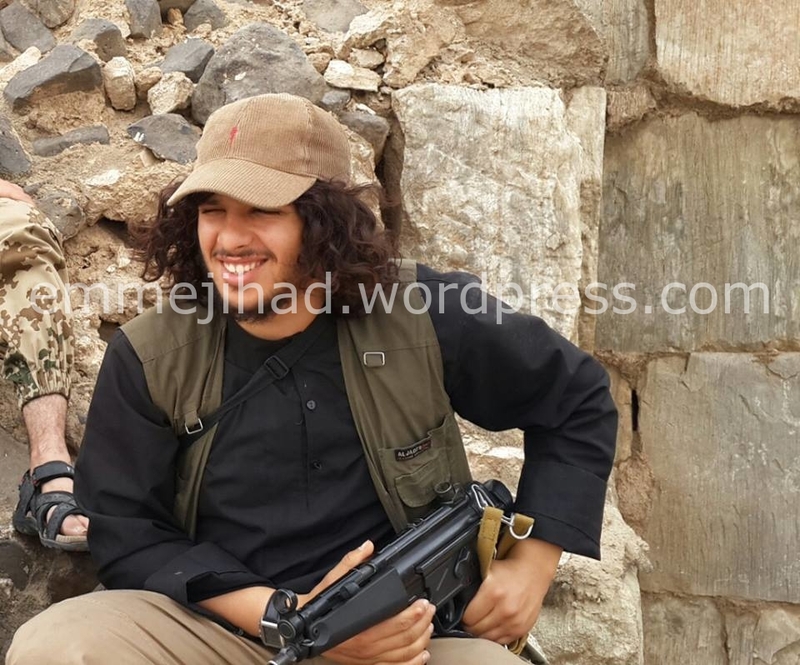 One of his actual friends is the Belgian ISIS fighter Azeddine Kbir Bounekoub (21, a.k.a. ‘Abu Gastbijshaam’), the guy that only last week has called for more attacks in Belgium, explicitly referring to the brutal murder of four people in the Brussels Jewish Museum. Belgian security services are rightly concerned about an extremist like Bounekoub returning home, and their fear should grow now that his links with a seasoned Al Qaeda operative are established. People like Hakimi can pass decades of experience in the world wide terrorism to the young foreign fighters, learn them all the tricks needed to commit an attack and introduce them in a network that has proved it’s bloody clout already several times. Last weekend, Syria watcher Pieter Van Ostaeyen announced the death of the 30th Belgian foreign fighter on his Twitter account. But the identity of ‘Abu Sayyaf’, as the man was called, remained unknown. Today the Belgian newspaper ‘Het Laatste Nieuws’ revealed his true name and a bit of background. ISIS fighter ‘Abu Sayyaf’ or ‘Abu Sayeef’ turns out to be Nabil Azahaf, 21 years old and coming from the Brussels community of Saint Josse ten Noode. He is mentioned in the affidavit with which the public prosection has asked for a trial against 46 members of the now disbanded organization Shariah4Belgium, suspected of recruitment for the Syrian war. Apart from being a member of a terrorist organization, Azahaf is also accused of complicity in kidnappings and murders in Syria. As far as known, those accusations are based on internet videos and testimony of Jejoen Bontinck, a fighter who says that he was abducted by his former comrades in Syria because he wanted to leave, escaped to Belgium and cooperated with the police. 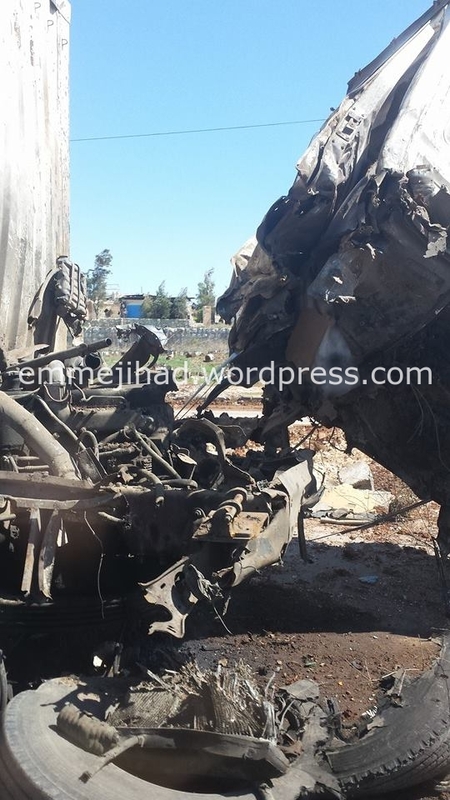 Of the 46 people listed in the affidavit mentioned above, at least nine are killed in Syria now. Because their is no legal proof of death however, the complaints against them continue to exist. Before he went to Syria, Azahaf was active in martial arts, as much of his companions were. He practised Thai boxing in Brussels as a member of ‘Team AFC’. Picture that appeared on Azahaf’s Facebook account in 2011.